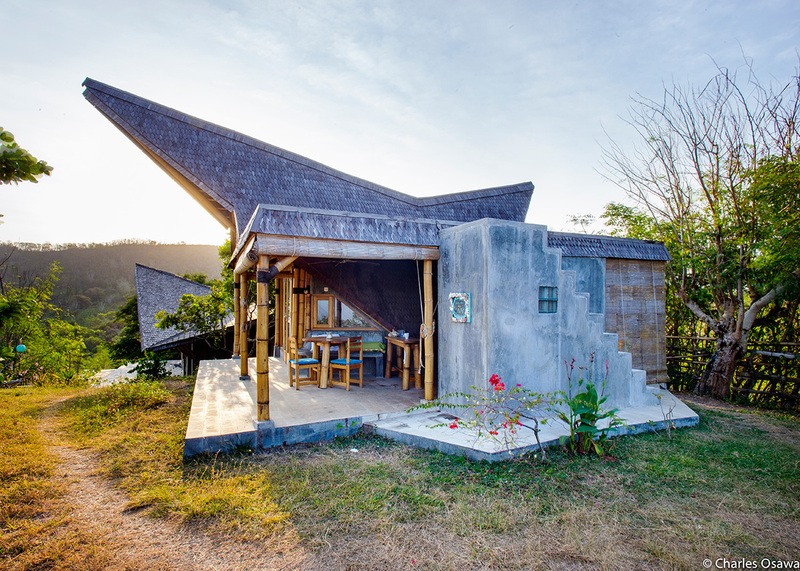 Siwak House is the first eco house Paula designed and built in Lombok. She actually lives there with her husband and her son. 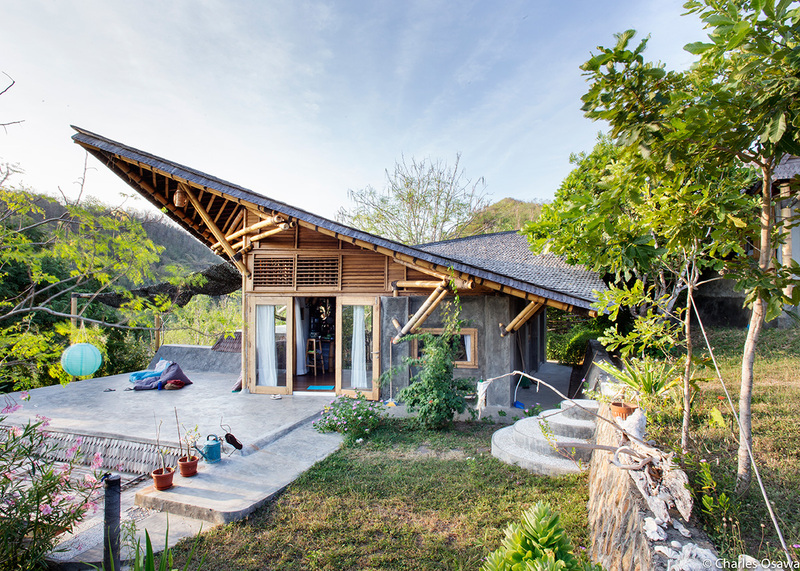 The project combines a bigger house, the villa, and a smaller guests house, the bungalow, which complement each other in harmony. 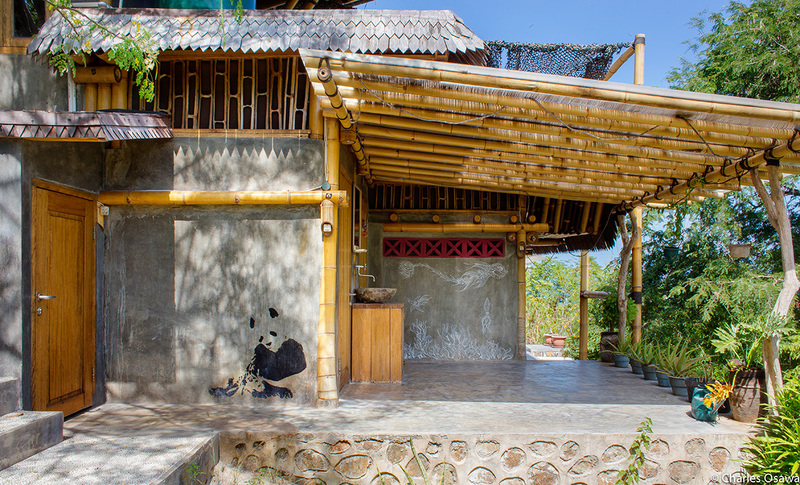 Made only with bamboo and natural local materials, its design responds to the hilly location and the husband’s desire of sailing towards the waves that surround the house. 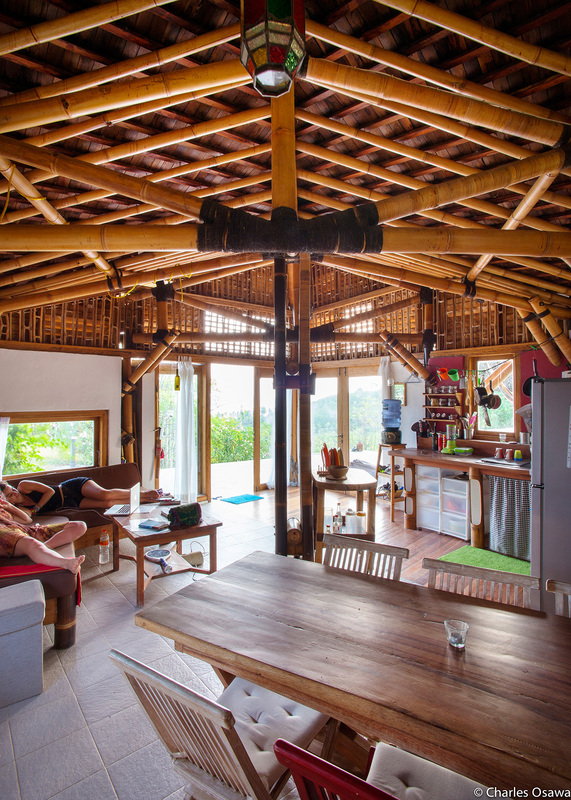 Inspired by the traditional Batak houses in Sumatra, the driving concept behind its design was to reduce the environmental impact as much as possible: the semi-buried bedroom downstairs and open living area upstairs respond to the Solar and Wind studies done to assure passive thermal comfort without any energy intensive strategy needs. 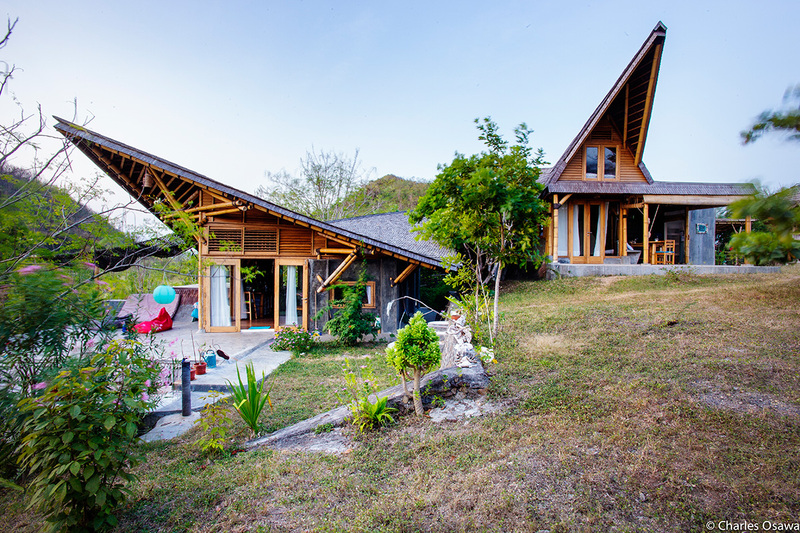 Being the first construction to be built in Siwak Hills, the challenge was to ensure the buildings would blend with its surroundings increasing the value of the neighbouring environment. It has become a famous construction that both local and foreigners come to view, a landmark that represents the way architecture should be made.